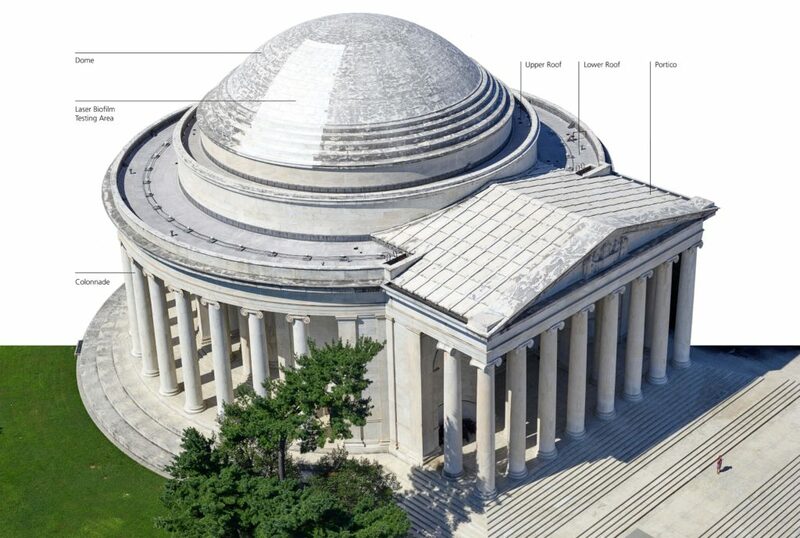 The roof restoration and repair will consist of replacing the two flat upper and lower roofs that circle the dome to keep the building watertight and dry. 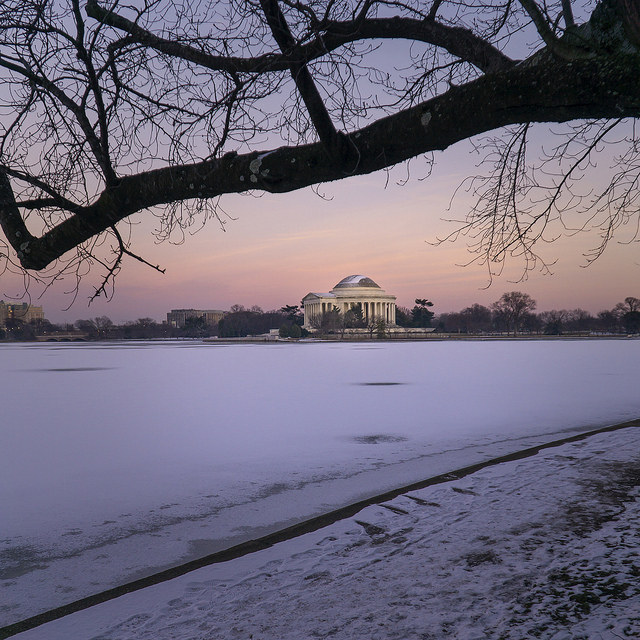 Additionally, the large marble “tiles” covering the portico, the dramatic front entry that projects towards the Tidal Basin, will be lifted to replace the deteriorated waterproofing below. Stone will also be repaired under the portico and along the colonnade ceilings. Improvements to roof drains, downspouts, and gutters will also be completed. Cleaning the visible marble on the dome and roof of the memorial will utilize specialized lasers to remove the black biofilm (a microbial colony of algae, fungi and bacteria) seen growing on upper portions of the memorial. The biofilm was first noticed in discrete areas of the white marble in 2006 and has become more pronounced in recent years. The National Park Service has studied this growth since 2014 to determine the best treatment options.